As a famous Indian poet remarked, dreams are the foundations for achieving the impossible. The Wright brothers dreamed of flying when they saw birds soaring in the sky; scientists dreamed of the radio when they realised the power of echo. Steve Jobs dreamed of putting an Apple computer in every home. He created the huge success of iPod by dreaming of music downloads that are legal. Without dreams, there is no progress. Dream about what you want to do. 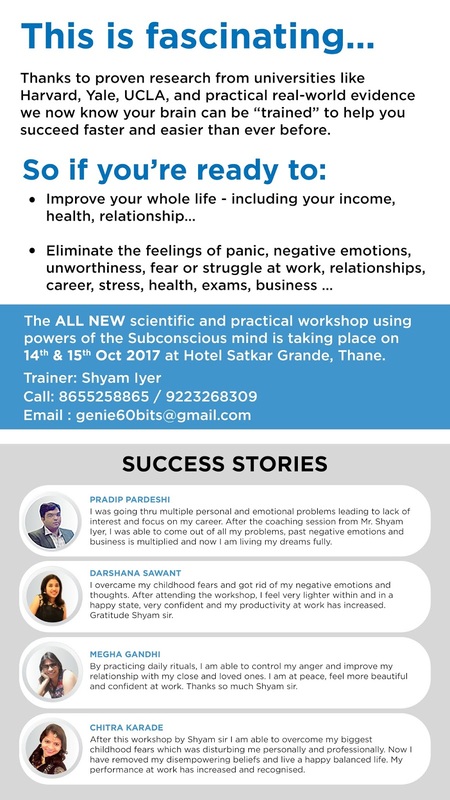 If want to achieve success over your fear and live a life of your dreams do attend the 14th and 15th Oct workshop wherein you would be learning mind tools and techniques to break away your disempowering beliefs and fears. 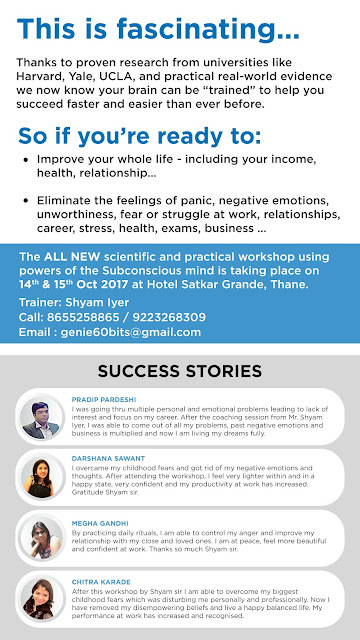 You would be receiving a 30 day success conditioning program and many more tools to keep you unstoppable!